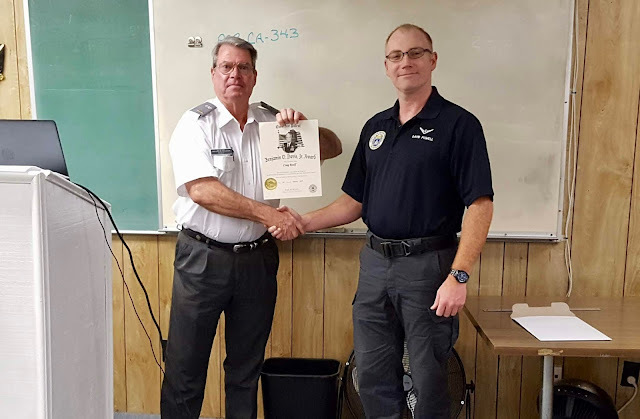 Congratulations to Squadron 150 Deputy Commander 2nd Lt. Craig Roalf who was awarded the Benjamin O. David Award by Squadron 150 Commander Maj. David Powell during a squadron meeting on 31 January, 2019. Recipients of the Davis Award have completed Level Two of the Civil Air Patrol Professional Development Program. Save the Date! Feb 21 Squadron Meeting Features Special Guest Speaker! 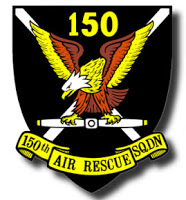 Squadron 150 is pleased to serve as the host squadron for this month's Joint Group 7 Training. 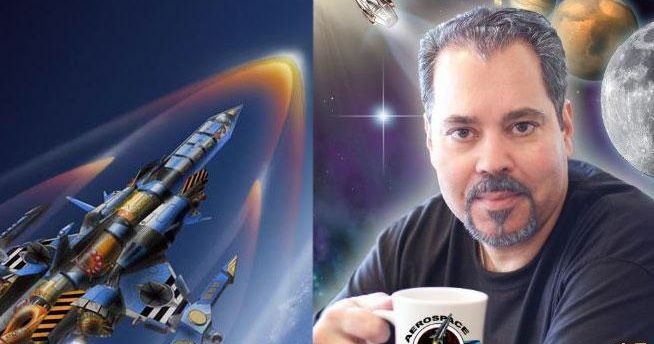 Our special guest speaker is Aldo Spadoni who will be speaking on "Exploring the Boundaries of Art, Design, Aerospace Engineering, and Popular Culture" during our regular squadron meeting on Thursday February 21, 2019 from 7:30pm to 9:00pm. Aldo will be speaking on how he managed to blend art and engineering to great advantage throughout his technical career in aerospace engineering, as well as his career as a consultant to the entertainment industry on projects including Iron Man, Iron Man 2, Stealth, and Apollo 13. About Aldo: Also Spadoni is the President of Aerospace Imagineering, is an MIT graduate with extensive experience as an aerospace engineer, conceptual designer, and futurist. He has contributed to the conceptual, prototype, and production design of numerous advanced aircraft, missiles, and spacecraft For NASA, DARPA and The U.S. Armed Services. He created an award-winning simulation team at Northrop Grumman Aerospace Systems. Aldo is also an accomplished concept designer/inventor with four U.S. patents, space artist, and Hollywood technical consultant. He is a Fellow of the International Association of Astronomical Artists (IAAA) and is currently serving on its Board of Trustees. National Commander and CEO Maj. Gen. Mark Smith talks about all things Civil Air Patrol in an interview posted Tuesday atop the homepage of Airman Magazine’s website. Airman is the official magazine of the U.S. Air Force. It’s published bimonthly online by the Defense Media Activity group and is considered a major publication of the U.S. Air Force. Entitled “Serving, Saving, Shaping,” the Airman post includes a 4½-minute video of Smith’s interview, which was conducted in December in Washington, D.C. He was interviewed by Joseph Eddins, and a transcript of a portion of the question-and-answer session is also posted on the website. On Wednesday, Smith responded to the post, saying he was grateful for the experience. In the Airman interview, Smith talked about a life-changing mentor who guided him to the Air Force Academy, which allowed him to fulfill his childhood dream of being a fighter pilot. Smith told Eddins the experience has greatly affected his current mission to build CAP cadets into leaders of the future. “I love to talk to young people about the power of mentorship because it’s something that made a fundamental difference in my life and being able to achieve my life goal,” he said. The Airman transcript includes an old photo of Smith and one of his mentor, the late Air Force Reserve Maj. Ray Powell. Another photo from his career in the Air Force shows Smith in the 27th Tactical Fighter Squadron during Operation Desert Shield/Desert Storm. He told Eddins two things attracted him to CAP — the volunteers who make up the Air Force auxiliary and the ability to continuing flying in service to his country. Other interview topics ranged from CAP’s rich history to its current role as a force-multiplier for the Air Force. Smith talked about the organization’s steadily increasing role in America’s homeland security as the newest member of the Air Force’s Total Force. John Salvador, CAP’s chief operating officer, said Smith’s interview was a first for the organization.